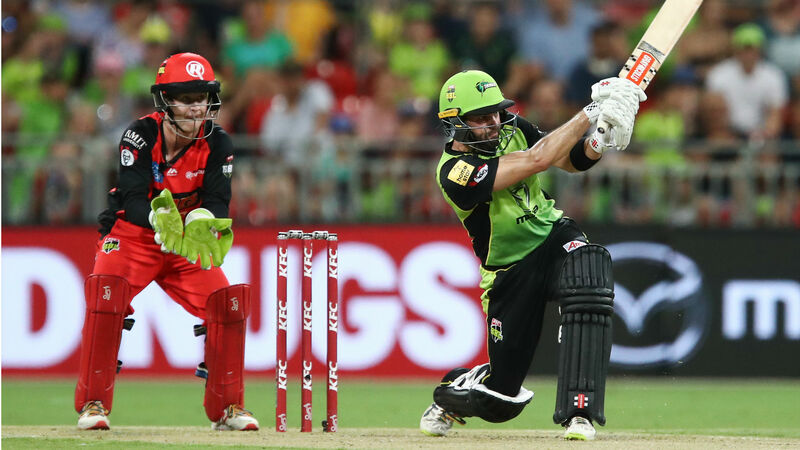 Sydney Thunder failed to put the frustration of their no-result at Brisbane Heat behind them as they suffered a 12-run home defeat against Melbourne Renegades on Tuesday. The Thunder had appealed to be awarded full points after a power failure at the Gabba last week cost them what appeared a likely victory after posting 186-4. But Cricket Australia knocked back the Thunder's bid for maximum points and defeat to the Renegades compounded that disappointment. Skipper Aaron Finch top scored for the Renegades with 54 as they reached 152-9, while the best efforts of Callum Ferguson (52) and Jason Sangha (54 not out) were not enough to rescue the Thunder's chase. The result sends the Renegades second, while the Thunder remain fourth. The Thunder's challenge of the Heat result was based on the fact that they felt the host venue had a responsibility to provide floodlighting and have a back-up source in case of a failure. But a CA review found that the playing conditions were correctly applied and the right result awarded, meaning each team will be given one point. Head of Big Bash Leagues, Kim McConnie said: "After reviewing the issues the Thunder presented we have determined that the correct decision was made, and the result of the match will stand." Thunder captain Shane Watson was the star performer in that match that never reached its conclusion, hitting 100 before the lights went out. But he could not pull off a repeat performance on Tuesday, managing only a single before knocking the ball straight to Finch at cover off the bowling of Harry Gurney (2-27). Watson's fellow opener, Anton Devcich, was caught for a duck, while there were also disappointing showings from Chris Green (7) and Daniel Sams (2). Gurney's two-wicket haul earned him the man-of-the-match award but it could have been so much better for the Englishman. The 32-year-old dropped two skied balls off his own bowling, while Mackenzie Harvey also let one slip off a Gurney delivery.